This past weekend Team Apex and the Advanced Training Group (ATG) competed in the 2019 Dallas Cup, the first competition of the new year for our athletes. Hosted by Eagles Wing’s Athletics, the Dallas Cup is the largest Tumbling and Trampoline Invitational meet in the US, and is comprised of approximately 1,000 athletes from all over the United States and Canada competing from Level 1 to Elite in Trampoline, Double Mini Trampoline, and Tumbling. Apex started 2019 off strong and took home a total of 21 gold medals, 9 silver medals, and 3 bronze medals, along with numerous flight awards. Though we’re proud of the hard work from every member of Team Apex and ATG, we wanted to spotlight a few athletes whose hard work and dedication especially paid off at this competition. Garrett, far left, saluting with his first place flight award. Gunnar Ramos, age 10 from Aubrey, TX, eagerly anticipated the Dallas Cup as it was to be his first ever competition experience. 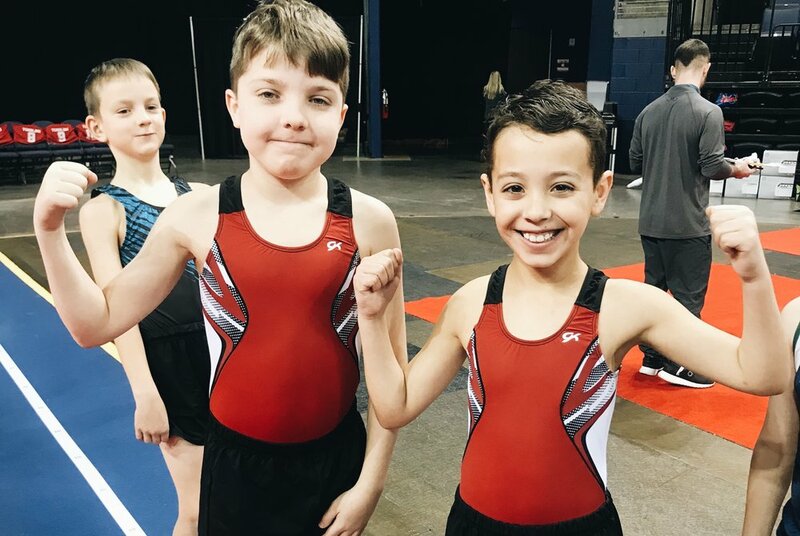 Gunnar joined ATG this past summer, and was very happy taking home two first place overall medals in Level 3 Double Mini and Trampoline. 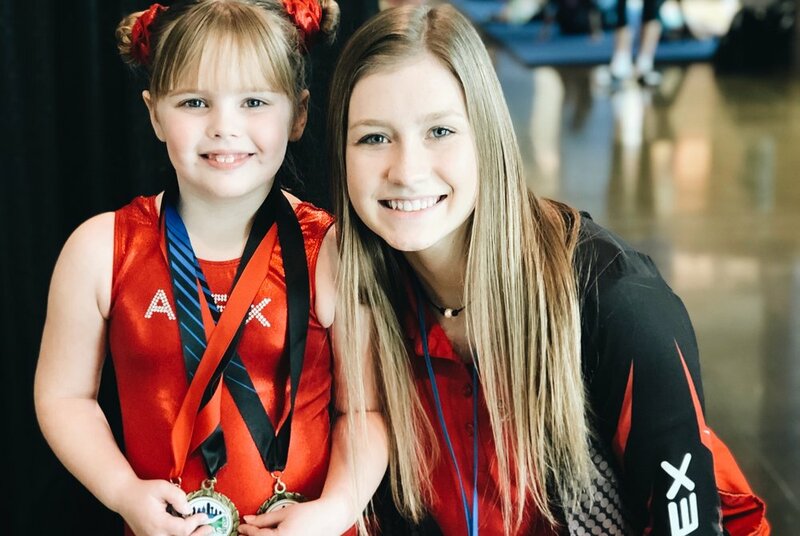 Also competing for the first time as a member of Team Apex, Samantha Taylor, age 13 from Prosper, TX, performed beautifully and snagged a first place overall medal in Level 4 Trampoline, Level 4 Tumbling, and a second place overall in Level 5 Double Mini. With previous artistic gymnastics experience, Samantha joined Team this past summer as well, and has since fallen in love with tumbling and trampoline. Julia Parker, age 14 from Pilot Point, TX, and the 2018 Level 6 National Champion in Trampoline, took home a gold in Level 7 Trampoline - her first time competing this level. 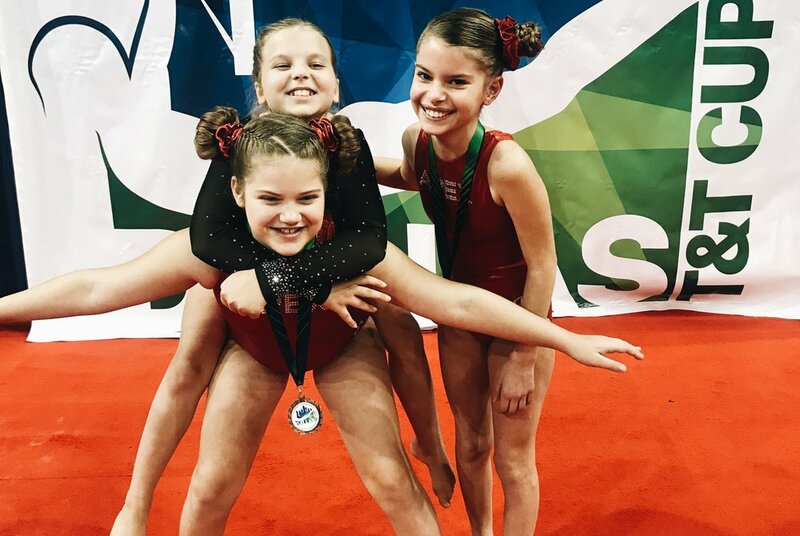 She had hoped to place just as strong in Double Mini and Tumbling, but incurred a minor strain in her forearm during tumbling warm-ups and was unable to compete. Even still, we are proud of Julia for competing #apexstrong. This will be her seventh season with Team Apex, and she plans to be healed and ready to compete at our upcoming competitions in February. Another Team Apex veteran, Sabella Smith, age 13 from Pilot Point, TX, took home first place overall medals in Level 7 Double Mini, and Level 7 Trampoline. Sabella is also a committed dancer, and has seen the benefit at working hard in both sports. This will also be her seventh season with Team Apex. Miranda Adams, age 14 from Oak Point, TX, gave a standout performance in all three events. She took home gold in Level 6 Trampoline, Level 4 Tumbling, and silver in Double Mini. Miranda has been a strong performing member of Team Apex for three years, and has her eye on a national championship this July in Palm Beach, FL. To view the total results of all the members of Team Apex and ATG, click here. 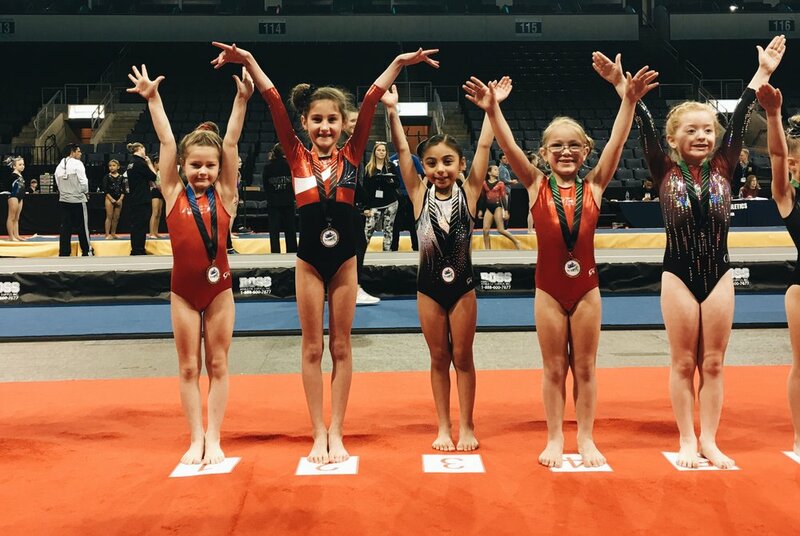 Team Apex and ATG are currently preparing for WOGA classic 2019 in February, a competition held at the Cowboy’s Stadium in Frisco, TX.